This was the answer to the CPAP hose always being in the way. No more tangling up in the hose or always trying to reposition it. "Sleeping has become stress free"
This is the very 1st time ever i am taking the time to write a review for any products. I am doing it because the CPAP Hose Holder has made a tremendous difference in the quality of my sleep, thus, my quality of life. From the very 1st night, I was able to sleep through the night without the disruptive pulling and tugging of the hose around my head and my neck. It's so easy to use and my nights have become stress free. I do not dread using my CPAP anymore now that I don't hear the grinding noise of the hose on the headboard. The hose slides and moves effortlessly, ensuring a quiet and relaxing night of sleep. Thank You to whomever invented this life changing product. A nightly wearer. It is so wonderful not fighting with the hose all night long. For years I struggled with my CPAP; then I saw this tool. I asked my CPAP tech who said he could not stand anything over his head, but try it if I choose. Well, I am very happy I chose to try it. It is a MUST for me and I take it everywhere I go. The reason I am ordering another one is because I must have left it in the last place we stayed. Thus, I am struggling again. Maybe I need to hang a red ribbon in it to make it more visible. IF I were lucky enough to receive a CPAP hose holder as a gift, I would be very happy. Then I could put one in my suitcase and have one at home. I used to wake up several times a night to adjust the hose on my CPAP machine because it would become tangled. Now I get a good night's rest without the constant turning and twisting the hose. It Does Keep The Hose In Place I Wish I Had It A Year Ago. Glad to find something to keep hose out of the way. Your store was the only place I could find product. My husband will not be complaining about his hoses getting tangled up in bed at night. Surprised this isn't offered by health providers! Only place I've seen it is in this catalog. What a lifesaver. Because I toss & turn a lot in my sleep, my CPAP/O2 hose would get tangled which would result in waking up to unwrap it from around my neck! This solves the problem -- and at a very reasonable cost!! Anyone who uses O2 or CPAP should definitely get one! Can be used for cpap, bipap and any other type device that uses a hose that you want to keep out of the way. A very simple product but provides a really big service! Wish we had found this way earlier! A really restful night's sleep with total freedom of movement. No tugging! Awesome! Highly recommend to others! My husband uses this every night, it has really helped him when he turns overin bed, which he is continuously doing. This makes his turning so much better. He used to have so much trouble, sometimes his mask would come off, all of this has changed with this hook. It keeps the tubing out of my way. As I say, the holder keeps the tubing out of my way so I won't roll on it. It also prevents my cats from chewing on it as easily too. It is simple and easy to use and has a handy carrying bag to help on trips too. It is easy to put together and easy to use. The Hose Holder is a winner !! machine.I recommend it very highly !! 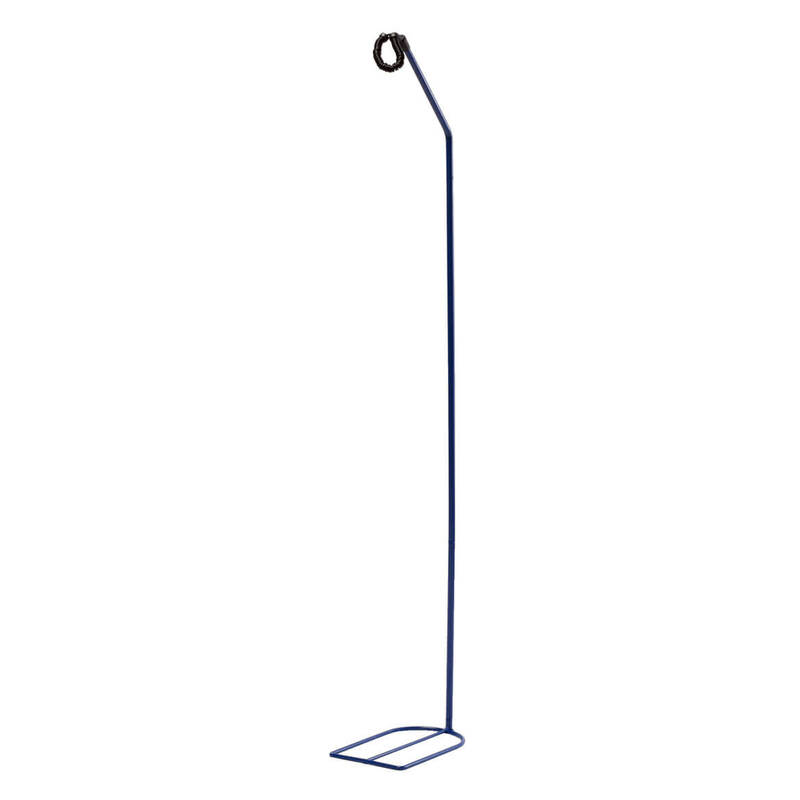 Using a c-pap for over 5 years - had the hose so it would be at the top of my head on pillow, made it easy to roll over BUT at times hose would get stuck or I'd roll over and the hose would yank me back. That doesn't happen with this hose holder - can roll over freely, really it's great! The one con I could come up with is you basically are confined to your pillow area but that isn't a big deal. I'm going to buy a 2nd one to have on hand and take if go out of town. I would recommend this a Pearson that uses a cpap to try this out. I was always rolling in my sleep and laying on the tube of my C-PAP. I purchased this because of the recommendation from my sister who purchased hers. I have to say, I haven't been able to sleep thru the night because of being uncomfortable laying on the hose and waking up to move it. The first night I used my holder I slept the entire night. What a blessing to be able to get a good night sleep even with my tossing and turning. I highly recommend this product for anyone who has to use a C-PAP and wants to sleep thru the night. Used nightly and have a spare for travel this is my 3rd one. I love my hose holder is great!!! When we first received this, we thought it wouldn't work, however, we were pleasantly surprised. It works great. It travels great. It fits easily in a suitcase or the CPAP case. It's easy assembly and easy to fold, stow and go. The only con is that it is a little pricey. If it lasts for a long time, though, it may pay for itself. It is a wonderful product that really does keep the worry of getting the CPAP hose in a comfortable area. I can turn anyway in the bed without getting tangled up in the hose! If I would have seen this product sooner I would have purchased then. excellent,love it keeps line out of way while sleeping. Keeps tubing from choking me. It is for my husband, and after 20 or more years, at last the hose doesn't rest on his shoulder. We find it very comfortable. My husband uses the product and we both sleep better. Keeps the hose from tangling around my head and neck. No problem when I turn. Works great for me. Been wanting one for a good while. After using it, I should have bought it earlier. It will be an added addition to travel comfort in the future. My husband has more mobility in his sleep with this product. His shoulder is no longer achy when he awakes. Have you woke up with your b-pap hose under you? This holder keeps this from happening. Great product!!! 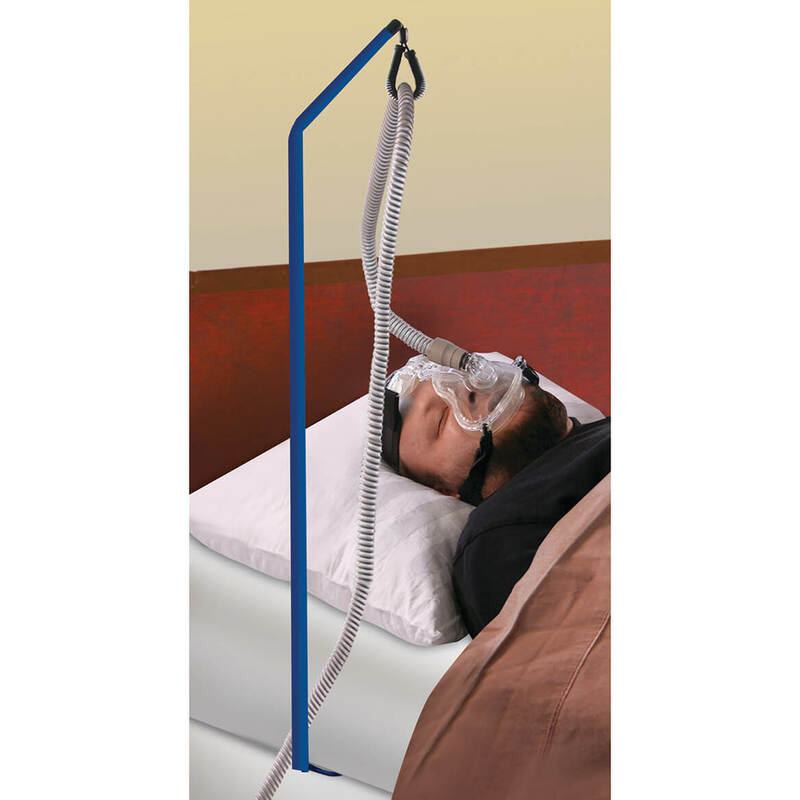 Attaches easily to CPAP tubing and lifts it off you face & body for easy turning while sleeping. I even recommended it to my doctor who wants one for himself. It was ready to use right out of the box, all I had to do was snap it together firmly and it was ready; no more twisted hose to hinder my night sleep. What a God send! This product has been a god send. I use to wake choking because my CPAP tubing would get wrapped around my neck and I couldn't breathe. My mom sent me this product and no more choking hazard. I love this product. That is why I ordered another one for traveling. It takes a little time getting used to it! But it has come thru for me. You feel better after you use it! Doctor recommends using it while you sleep, preferrabley 6-8 hours every night! You do what you can. Neighbor liked mine so we ordered one for her and now she loves it!! Although positioning this on the side of the bed, where it is easiest to put, means sheets & blankets that hang over the side are somewhat disturbed, it does make sleeping with a C-PAP machine easier. This is the second one I've owned. The first broke at the spot where the welding held the pole to the part that slips under the mattress. However, it did last a handful of years. This one is a little different; I'll be curious to see how long it lasts. This product is GREAT!! Really manages the hose, so that I don't have to. The hose does not get tangled and allows for much better air flow. the way making it easy to turn through the night. I have the hose holder under the top of the mattress rather than the side. It works fine there. The holder allows extra hose when I need it and I don't have to worry sbout having too much or too little hose. I’m tired of fighting my hose every time I roll over! Hoping this will help! I have sleep apnea and the hose is always in the way. Well I have to use sleep with acpap this will help too hold the hose. thank you! To help keep off bed. My husband needed a new one. 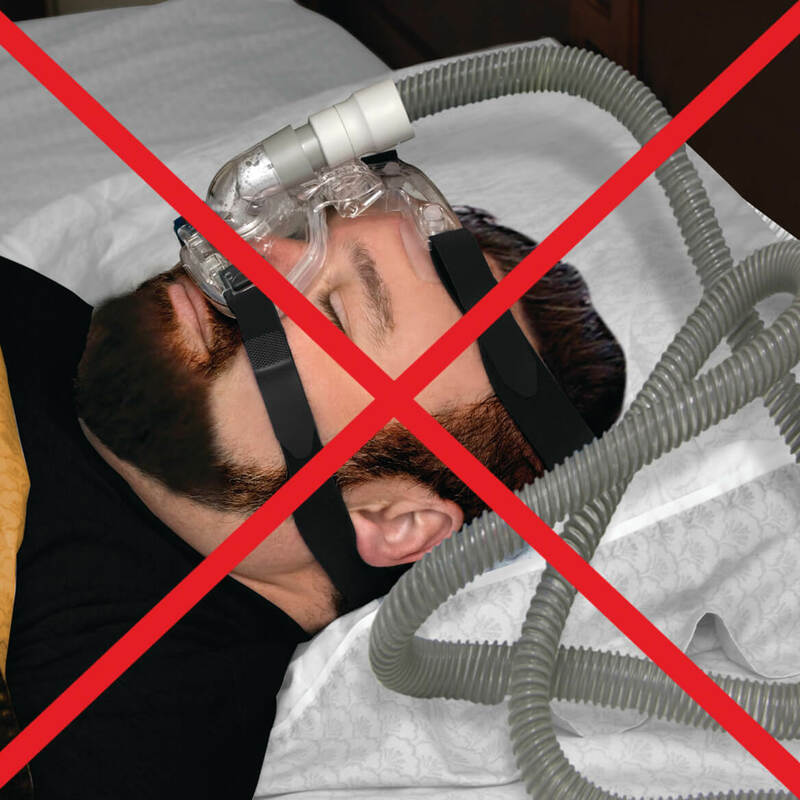 This will help keep the hose in the correction position and make it simpler to use the CPAP hose when sleeping. I'm a new CPAP userâ I Googled "CPAP hose keeper." Several suggestions were returned. Miles Kimball was the best value with 10% off and free shipping. The footing on the stand looks more secure. I trust the seller from previous telephone orders over the years. Helps hold up hose while you sleep. It brakes easy that is the only thing I do not like, third one order in 3 years. For my daughter to use when traveling. I like your products .